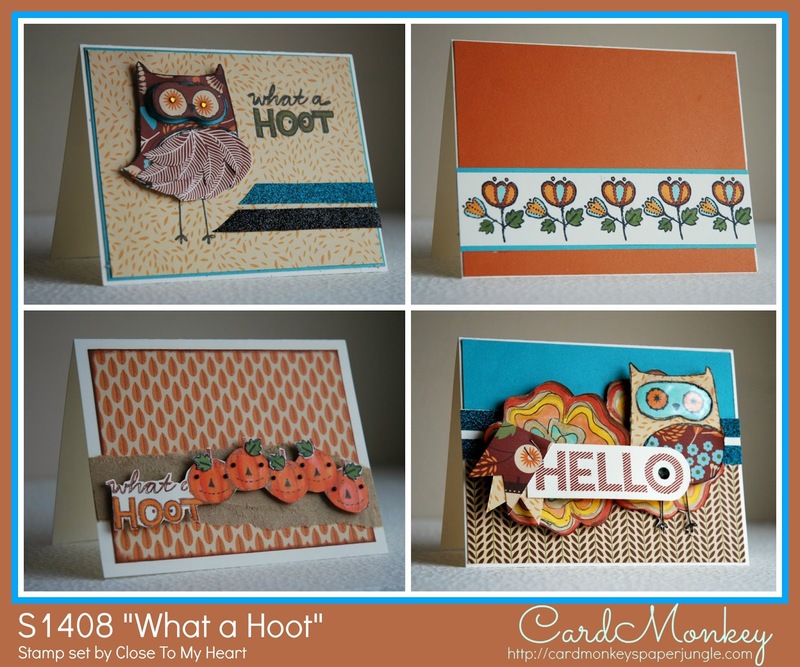 CardMonkey's Paper Jungle: What a Hoot: It's a Card for a Challenge! 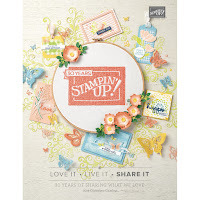 ...and also, Close To My Heart has unveiled its new Annual Inspirations Book, including the cutest Stamp of the Month, "What a Hoot". I designed a whimsical approach to the owl stamp, in a "See No Evil, Speak No Evil, Hear No Evil" look, following the sketch the Atlantic Hearts team (hi Darla and Michelle!) put together. I love this card (and the other ones also) .. It's so darn cute..
thanks for joining us at the Atlantic Hearts Sketch Challenge. Totally cute, and it's about time you joined your Canadian sister's challenge. Well done! I love it and new what your approach was before I even clicked on your blog link. Love it as well as your other creations. Thank you for playing along with us at AHSC. Great card, I love those little owls. Thanks for joining us at AHSC! This is super cute! Love the hoot owls and DPs. Thank you for joining us at Atlantic Heart Sketch Challenge. 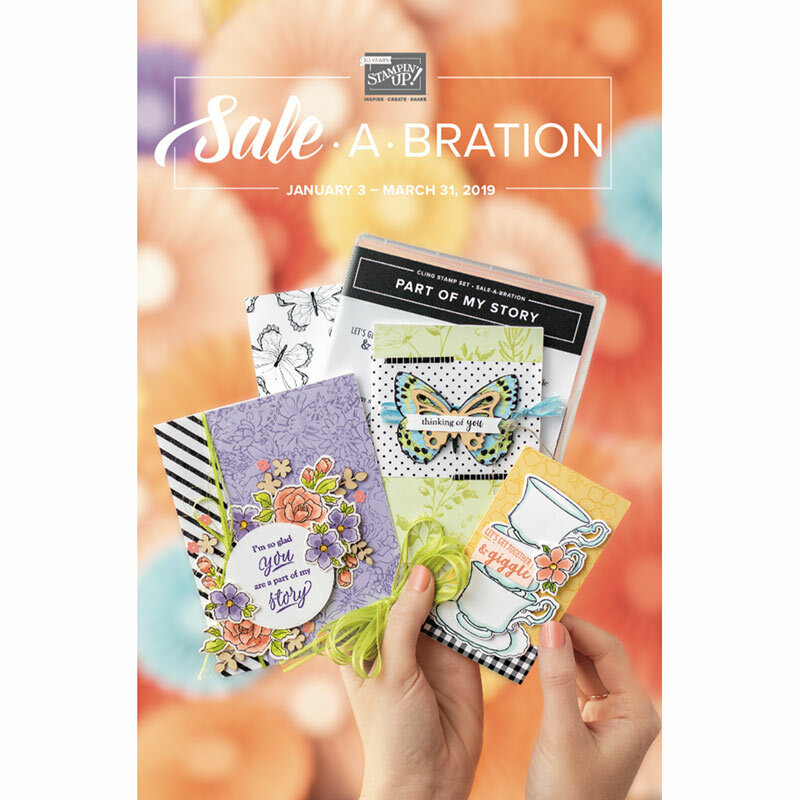 All of your cards are fabulous! Thank you for playing along with us at AHSC. I LOVE the concept of "speak, hear see no evil" done with the owls! Way too cute! Great use of the sketch and lucky person who receives this card :) Thanks for playing along with AHSC. Ellen, what a great take on this weeks sketch. The owls are super cute. Awesome job ! thanks for joining us at Atlantic Hearts Sketch Challenge ! This card is super cute - love the owls! Thanks for joining us at AHSC this week, please come back to play again soon! I just love your card! You did such a great job with the SOTM! :) So cute! Thanks for playing along at AHSC! 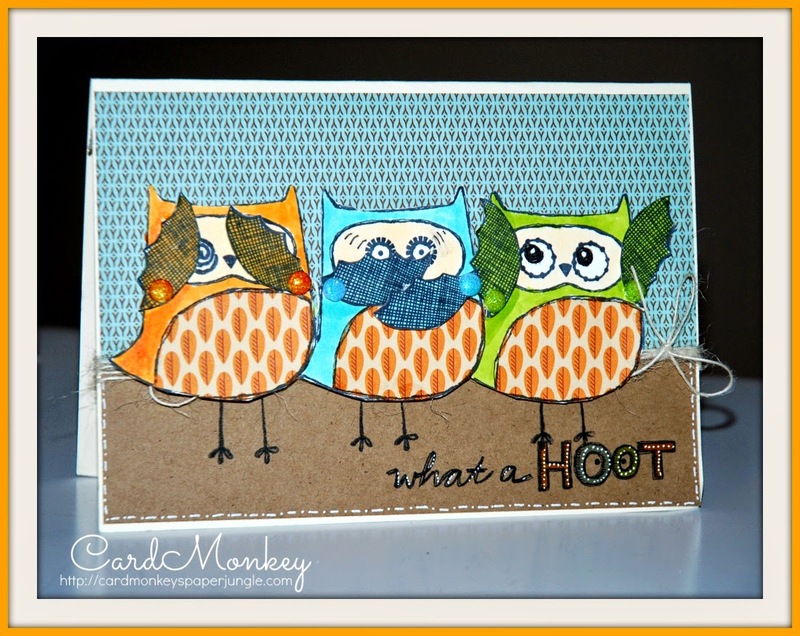 What a fun and cute owl card, love your playful take on the three of them! Thanks for playing with AHSC this week. What an adorable card! Love the hear, see, say no evil idea!